Water is the foundation of our earth. The average adult human body is 50-65% water. Water is an essential component of the growing and lifecycle. Water adds value to everything, including landscaping. There are many reasons to add a water garden in Alpharetta to all your gardening projects. Water features range in size from minute, trickling indoor waterfalls to massive, self-feeding outdoor structures. This flexibility in size allows you to find the just-right water features for your landscaping parameters. With garden design in Alpharetta, you’ll learn that water features are effective both indoors and outdoors. In fact, when you install a calming water feature inside your home you often find new routines and rhythms emerge throughout your day. Design the feeling you want to live within. Create a rainforest in your greenhouse. Add the sound of a babbling brook to the living room. 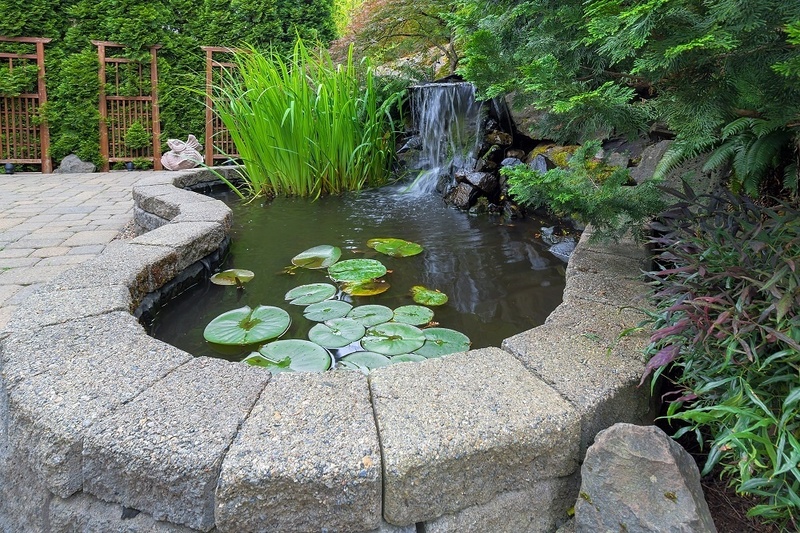 Install a small pond in the backyard. The sky is nearly the limit with water features and their positive effects. When you install a flowing water feature, like a waterfall, it creates a reduction in environmental noise. The sound created by the flowing water absorbs ambient background noise. This creates a naturally soothing environment. If you live near a train track, a highway, or another heavy noise influence, choose an Alpharetta water garden to cut the intensity of the sound. A water feature invites a variety of birds, small animals, and beneficial insects into your yard. The natural ecosystem of your yard will improve over time and your kids will enjoy watching and learning from the animals. Birdbaths encourage beneficial birds to stay in your garden. They're lovely to have around while creating a healthy environment. They keep your soil aerated and help to cross-pollinate your plants. Birdbaths have a classic feel to them, further adding to the overall character of your landscape design. Although it may seem odd to equate a water fountain with your longevity, it’s true. Statistics have long connected good mental health to physical health. Water features reduce stress which, in turn, creates healthy blood pressure and clear thinking. Balance your physical and mental stress with nature’s cure-all and enjoy your time as you age well. Water gardens are aesthetically pleasing. They have calming effects that sooth many of our senses. They add beauty and grace to your home and yard. You’ll be able to charge more for your home when you’re ready to sell and take on a new adventure. 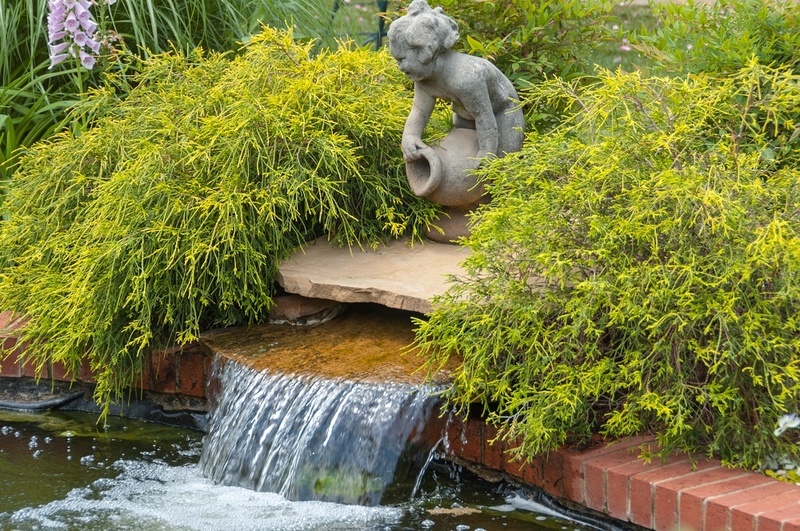 When you’re ready to improve every aspect of your day, install a water garden in Alpharetta. The overall effects may surprise you.